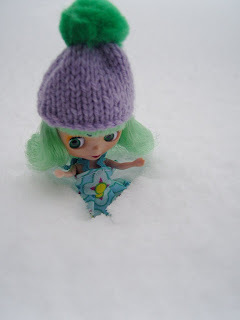 i thought i would share this photo of Nessie out in the snow. She ignored the warnings on the news not to go out and promptly got stuck....at least she had her hat on!! 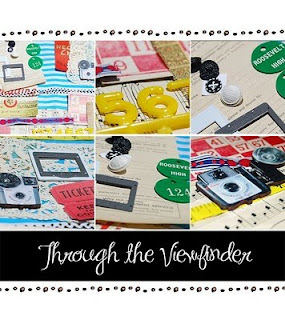 i also thought i was show you this fab kit from QTea kits called 'through the viewfinder'. filled with colourful yumminess i had to have one!! ooh that is a very cute kit, and she looks lovely in the snow!!! Luna is still hairless, but might have to have a photoshoot really soon too!! !